What Would You Do with a Robot in the Water 24/7? Measure and predict vortex-induced vibration (VIV), track seafloor motion with millimeter accuracy, monitor downhole pressure and temperature during well P&A, and more. 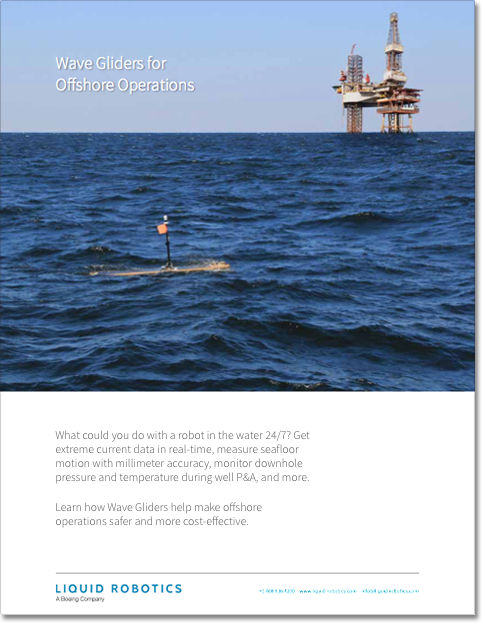 Learn how the multitasking Wave Glider can help you save money and lower risk in the oilfield.